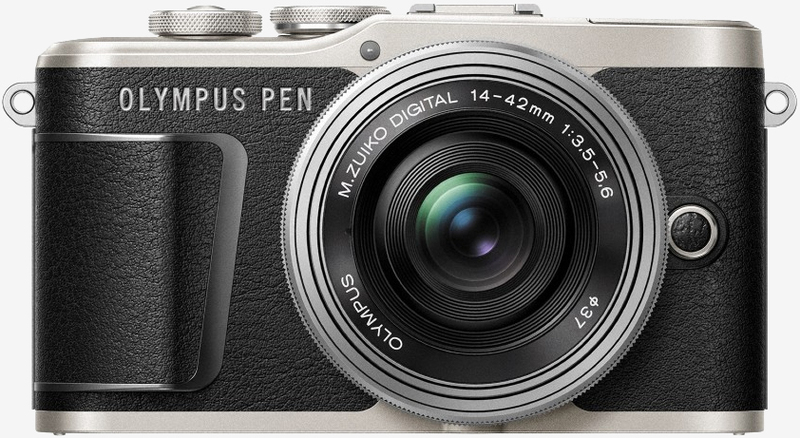 Olympus’ Pen E-PL9 compact mirrorless digital camera is now available to purchase in the US. It’ll set you back $599.99 for the body alone or $699.99 as part of a kit that includes an M.Zuiko Digital 14-42mm f/3.5-5.6 II R lens, a 16GB memory card and a camera bag. The pocket-sized camera, the successor to Olympus’ E-PL8 from 2016, is offered in your choice of black, white or brown color schemes. Olympus’ micro four thirds shooter features a 16.1-megapixel Live MOS sensor and the same TruePic VIII image processor found in the company’s flagship OM-D E-M1 Mark II. It boasts a full-resolution continuous shooting rate of 8.6 frames and can capture 4K video at up to 30 frames per second at up to ISO 25,600. There’s also a built-in pop-up flash although I suspect this will only be useful in emergency situations. Most who are serious about their flash photography will probably attach an external unit via the hot shoe. While not quite as advanced as the five-axis stabilization system on the OM-D E-M1 Mark II, the Pen E-PL9’s three-axis system (yaw, pitch and roll) can minimize the appearance of camera shake by up to 3.5 stops. It also features modern amenities like a 3.0-inch touchscreen LCD and built-in Wi-Fi and Bluetooth wireless connectivity to facilitate image sharing. The included rechargeable battery should be good for about 350 snaps per charge, we’re told.